We continue to promote local-to-local network for mutual learning and cooperation to create new value with local government, local companies and local people. We more concern to human resource development with internationalization in local areas. We conduct consultation activities “without teaching” to enhance local ownership for local development. We search for many comrades and partners with the same vision to promote local-to-local network in the world. We use the term “glocal” as globalization of local-to-local network without border. Please contact me (matsui@matsui-glocal.com) if you are interested. I will come to meet you. Thank you for your attention. 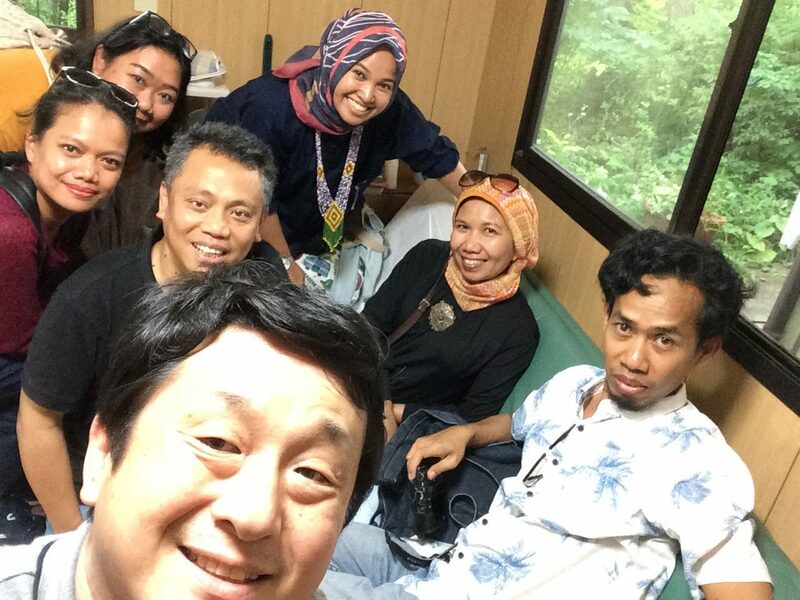 Main committee members of Makassar International Writers Festival [MIWF] from Indonesia visited my office in Fukushima (August 2018). In 24 May 2018, I visited Minakami town in Gumma Prefecture to discuss about its draft proposal to cooperate with Cianjur District in West Java, Indonesia. Based on request from the town, I became an advisor for Minakami town to support finalizing the proposal for the inter-local cooperation, with my advising on local development strategy of Minakami town. I will try to do my best to this task. 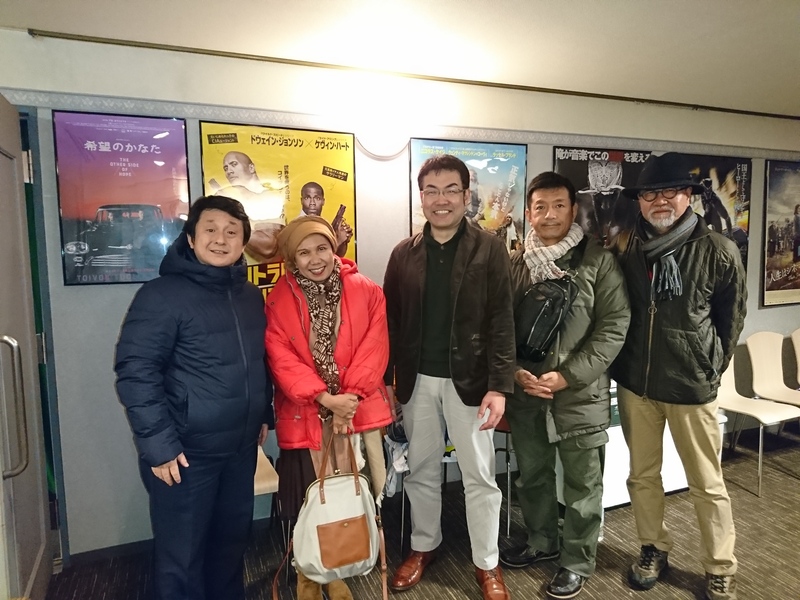 In 17-23 February 2018, I was in Fukushima with my colleague from Makassar, Indonesia, Ms. Lily Yulianti (untuil 21 Feb), to introduce her about Fukushima. We attended the Future’s Festival Cafe to connect between Kumamoto and Fukushima in 17 Feb, visited Kawamata and Iino to know local traditional industries and local festivals in 18 Feb.
We visited an organic food restaurant “Hitoto” and a book cafe “Koto” as new waves of revitalization activities in Fukushima city in 19 Feb. After coming to my office, we visited to former Horikiri’s houses in Iizaka hot spring and Surikami dam in 20 Feb.
Ms. Lily enjoyed and deeply understood about some aspects of current condition of Fukushima. She is very active writer in English and Bahasa Indonesia. We plan to set a special session of Fukushima in the next Makassar International Writers Festival (MIWF 2018) in 2-5 May 2018 with inviting Mr. Ryoichi Wago, a very active poet of Fukushima. Matsui Glocal LLC wants to connect with some local community groups or institutions to share and learn their experiences together on local development / business based on communities. Any group or institution in any places of the world. If you know, please give me your information. In 19 September 2017, I visited Embassy of Indonesia in Tokyo and met Mr. M. Abas Ridwan, Minister Counsellor, and Mr. Dadeng Gunawan, Head of Agriculture. We discussed about local-to-local collaboration between Indonesia and Japan, and human resource development (HRD) of Indonesian trainees in Japan for the future. Very informative and useful discussion. And I said Matsui Glocal LLC is ready to assist local-to-local collaboration between Indonesia and Japan. 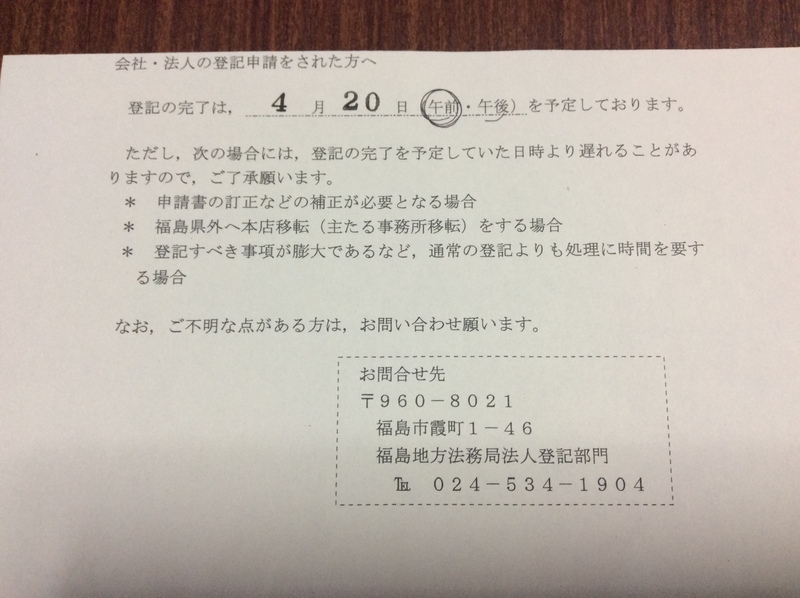 Today (April 11, 2017), I applied for corporate registration of Matsui Glocal LLC to Fukushima District Legal Affairs Bureau. Then, today became the establishment day of Matsui Glocal LLC. I have used the name “Matsui Glocal” until now, but the status has been a freelancer. Now, I has started my activities in the name of corporation as LLC (Limited Liability Company), even though there is no employee and this is one-man company. Because the registration procedure will be completed in April 20, 2017, my activities as LLC will start completely after that. Now I will make preparation to my LLC activities. The objectives of Matsui Glocal LLC in Articles of Incorporation are as follows. Because my mission is “to be catalyst to create something new and good with connecting local to local”, I must make my root in local. So, I established Matsui Glocal LLC in my home town, Fukushima city in Japan. I had planned this since before. From Fukushima as my main base, and Tokyo, Makassar, Jakarta and others as my sub bases, I want to do activities what is required to me at places where I am needed in Japan, Indonesia, and other places in the world without any borders. Locals including Fukushima try to their own capacities. They respect, learn and act each other beyond borders of countries, religions, and races. If those are realized, the future would be more warm, more fun, and more interesting, I think. I start this from Fukushima. Through Matsui Glocal LLC, I start my journey to make such my colleague in the world and make such future together. What is glocal? Of course, glocal is an artificial word made from global and local. According to Oxford dictionary, glocal is “reflecting or characterized by both local and global considerations”. Or in Longman, it is “relating to the connections or relationships between global and local businesses, problems etc”. Generally, global and local are opposite words each other, as globalization vs localization. Globalization is regarded as enemy from local. In Indonesia and maybe other developing countries, globalization is almost synonym with westernization, capitalism, imperialism, USA & Europe, or sometimes with christianization. We remember that developing countries had felt to be exploited under colonialism by Western countries. So, the concept structure between globalization – localization and exploit – exploited has not been changed. However, developing countries should know that many local people in USA or EU also criticize against impact of globalization. Such people played big role to win new USA President last year. It means that almost all local people of the world, not only in developing countries but also in developed countries, feel and battle the globalization. I understand that there is a universal basic issue in local society everywhere in the world. Local peoples in USA, EU, Indonesia, and Japan are facing to the same universal issues. That is the crisis of local identities. Collapse of “who we are, where we live, what our life is”. Local life cannot be separated from so-called globalization, including using mobile phone, internet, or imported consumer goods. The problem is not developed countries vs developing countries. But, what we keep and develop our own life with local identity. Local people often think only they are in the worst condition because they know about only their local society. But, you are not alone. Even though the character and level of living is different, almost all local people feel and think the same. In this context, I myself want to define glocal as global network of locals without border of administrations, and countries. My glocal has no best model to be learned by others. No intention to apply a model to others. My glocal respects each locality and tries to settle the respect among locals. We start from such respect to others or at least recognition of others. Then, facilitate to learn each other to know more about ourselves in the local, for next step. I will do more with local anywhere in the world. I believe the local-to-local network in global will change current confrontative situation, if we start from ourselves and our daily life, not from ideology or political jargon. I has started my work today (January 4) in 2017. I hope this 2017 would be happier and more peaceful year than before. At the start-point of this year, I had set seven targets to be realized during this 2017. One of them are at least once a week posting to this my homepage. Others are secret. I want to start my work extension not only from mostly Indonesia-Japan but also to multi-country network of local to local. I need to know and learn a lot of cases of local community and/or business development challenge in many countries. I believe we need a kind of mutual learning network among local communities, as an alternative network from nation-to-nation network. From my experiences in Japan and Indoensia, every local community has faced to the same deep crisis and problem. That is the crisis of local identity caused by penetration of commercialization from outside. In other words, it is globalization. Every local community in universal crisis and problem. Localization is regarded as the solution to overcome such globalization. But localization is not same as isolation with cutting the connection with outside. It is not possible to survive the local community. I think we need a kind of global network among local communities in the world. Glocal is this meaning. This network cannot force to unify in one direction. There are many and many local communities in the world. So, without accepting and assuming those difference of local communities, such network cannot be realized. This network is just for mutual learning and for avoiding loneliness feeling of each local community. Local communities are different, but their source of problem may be universal. Human beings should not feel loneliness. Local community may be the same. I do not know how many persons agree with this thought in the world. If you are the person, I want to contact and meet you, and discuss and take action more. I will start to extend my idea from visiting Malaysia and Indonesia in 12-17 January 2017. 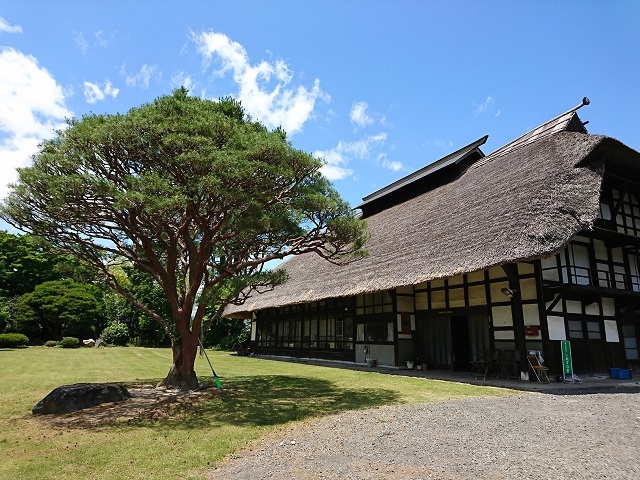 Visit Umaji Village in Kochi Prefecture. Umaji is Uma (horse) plus ji (road). It means we must reach Umaji by horse. But it is old story. Now we can enjoy smooth car drive to Umaji even though the road is narrow and winding. Umaji, whose population is 930 persons, is now famous as success case of local revitalization by processing of yuzu, very good smelling citrus. 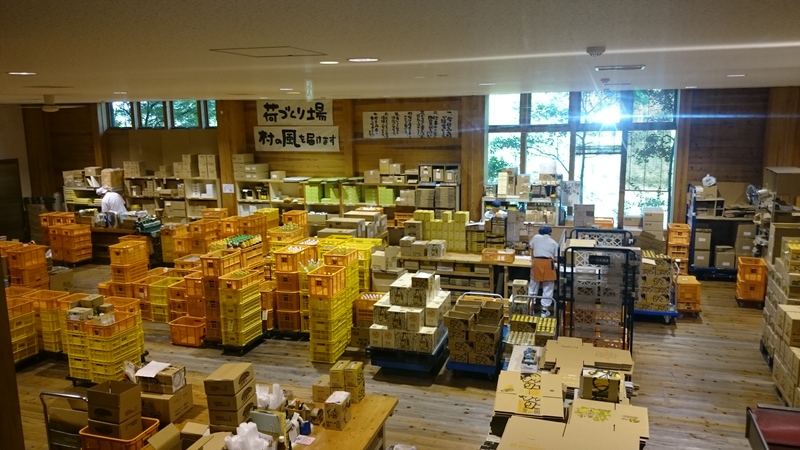 JA Umaji has 5 factories to process many kinds of yuzu goods, as yuzu drink, yuzu ponzu source, yuzu jam, yuzu chili, yuzu pepper, yuzu liqueur, yuzu cosmetics, yuzu ‘aromatics, and so on. Yuzu seed becomes good material for cosmetics. Amazing, isn’t it? Only 930-populated tiny village in mountainous area has 5 factories. Most of products are sold through mail order or internet to all areas in Japan, with increasing the number of fans of Umaji. Umaji offers the status of special villager to those fans. This has been promoted by JA Umaji. JA Umaji has its very unique and impressive business model to revive tiny mountainous village, through the integration of production of yuzu, processing, and marketing. However, as other villages in Japan, Umaji also faces to depopulation and aging. How is the way to satisfy with increasing market demand for yuzu products under decreasing of labor? Mechanization is one of the answer with 5 factories. But, is it sustainable in the future? Is it overcapacity or not? The challenge of Umaji will be severer.